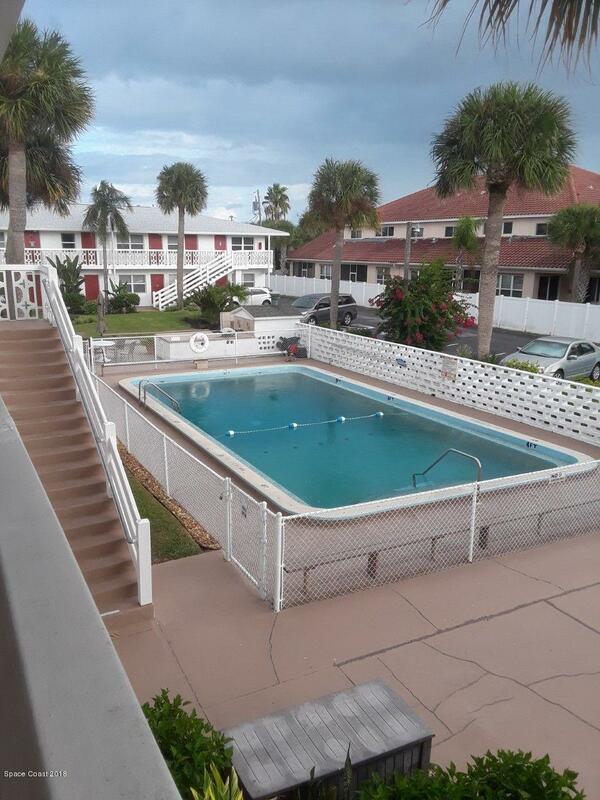 This cute and spacious 2nd floor unit located in a well maintained community on the ocean side of Cape Canaveral. Walking or bicycle to the beach, stores, restaurants. 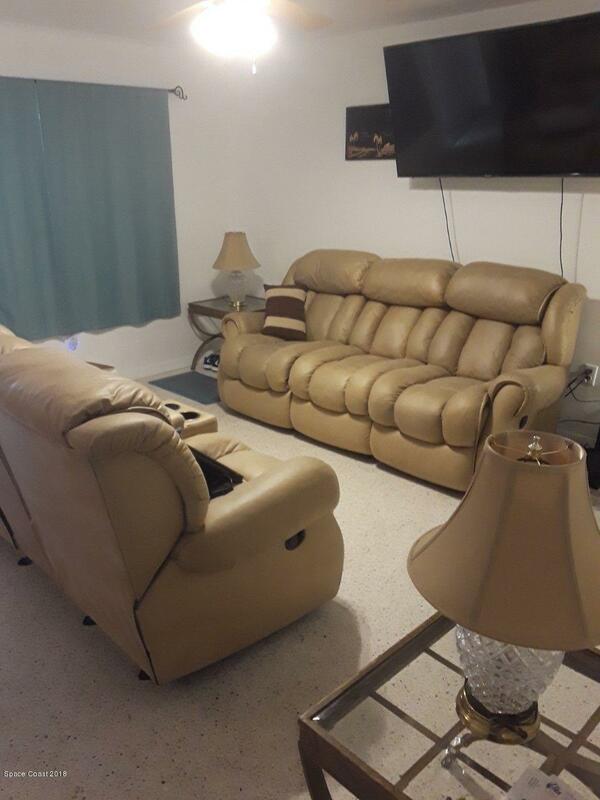 In 2018 - refinished inside including new paint, new AC, new water heater and terrazzo floors throughout, walk-in closet in master bedroom and the master bedroom has its own private bathroom. HOA fees include water, trash, basic cable, heated swimming pool, grounds maintenance and washer dryer service is available onsite. * Washer and Dryer on premises *Orlando airport only 40 minutes away * Disney World, Seaworld, and Universal Studios only 1 hour away. * Cruise ships, charter boats and gambling cruise ships only 3 minutes to port. * Kennedy Space Center - Watch rocket launches from the beach. - Launch pads are visible by..the eye from the beach. * Golf and shopping mall are within 15 min. * Jetty Park and the pier is a walk from the complex beach access. * Cocoa Beach is 3 miles South. * Merritt Island and Port Canaveral offer fishing, wild life adventures and great restaurants with in a 5-mile radius. * Development is a few blocks off the end of the Beeline (Rte. 528) Contact for more details and pictures: Pet Restrictions prohibit any pets and one owner must be age 55 based on HOA criteria.